Discussion in 'Australia' started by [Red], Jan 15, 2008. Dunno if this is a simple process or if it's 205 but i want to be able to run the gps on my N95 however this chews a bit of battery juice. Any help in setting up a phone charger to my bike, kits, info or any advice would be appreciated. There is a little USB to 2mm charger you can buy from Nokia, I have just aquired one, I use it in conjunction with a cigarette liter USB power adaptor to keep my N95 charged on the road. Get a 4 PORT USB hub, you can then use the single USB charger instead of buying more and you'll have 4 ports to charge your devices from the one cig plug. You can also get a dual USB charger, same as the one you've got but has 2 USB ports on it. This other option to save getting cig lighter leads for all your bits and bobs is to get a Power Inverter, mine is about the size of a coke can and if in the car fits in the drink holder. brand I have is mobitronic MCi-100-12 and got it from a car show. What's the power output of that Dave, it doesn't say on the site? you would reckon it was 12V 100W from model number but would be good to know for sure. Phone charger needs 20W? Is that right? you would reckon it was 12V 100W from model number but would be good to know for sure. Phone charger needs 20W? That's what I thought too (about the model number) but it would handy to know for sure. 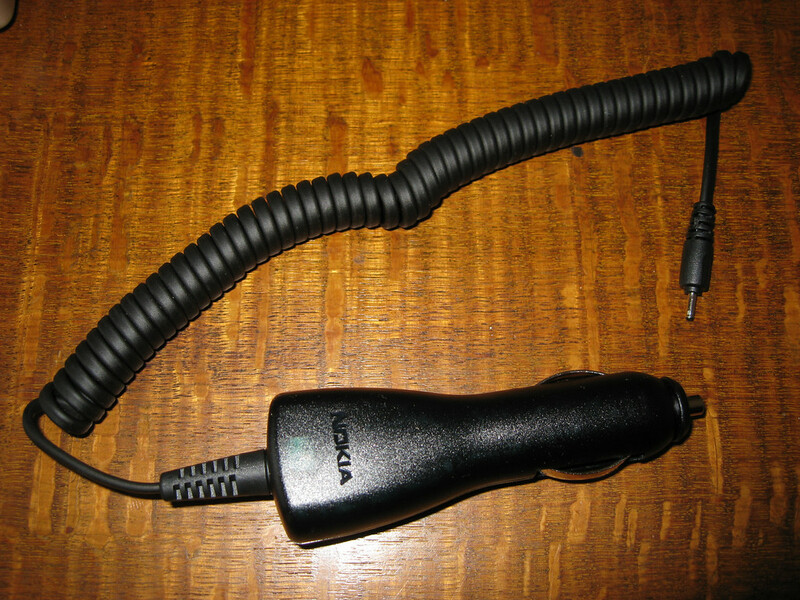 My Nokia AC charger outputs 800mA to the phone so probably ~12-15W draw on the battery if the engine's not running (you loose a bit when it's inverted). Use a MERIT plug and socket instead of a cigarette plug if you have trouble with the backing out, speaking from experience here! Auto pro, Repco, auto elecs etc stock them, I also run them in the 4B, don't have to worry about the GPS powering down now! I run Powerlec type (or BMW type, if you prefer) plugs to power the system in my tank bag, but the supplied chargers, and the USB ones, are designed to plug into cigarette lighter type sockets. This is why I am looking at taking the cigarette part out of the circuit all together. Oh if only all the equipment could be pluged into straight 12 volt (13.8V) system, but my N95, and my Magellan GPS require 5V, sigh. BTW, my 150 watt inverter is with my BMW R100 in Brisvagas, so I needed to replicate the system for the trip just completed. You can get the Powerlet plugs from Supercheap (or any BMW dealer ), and swap it over instead of using the cig socket (chop the cig socket off), if that's any help. Hard to change the plug type without pulling it all apart, the USB charger is the same. The step down electronics are in the plug, bugger. nah, its a piece of cake, did it a number of times albeit with battery charger type fittings when I had the GS, 1/2 hour job, use silicon to seal the powerlec top. Sorry guys should have posted that. Surge power means that it can handle that amount of power for a short period of time (There is no standard that I'm aware of that defines for how long). The 100W output power theoretically means it can supply that indefinitely. Thanks, much appreciated and will stick that in my memory..... yes I will forget it tomorrow. But I will try.